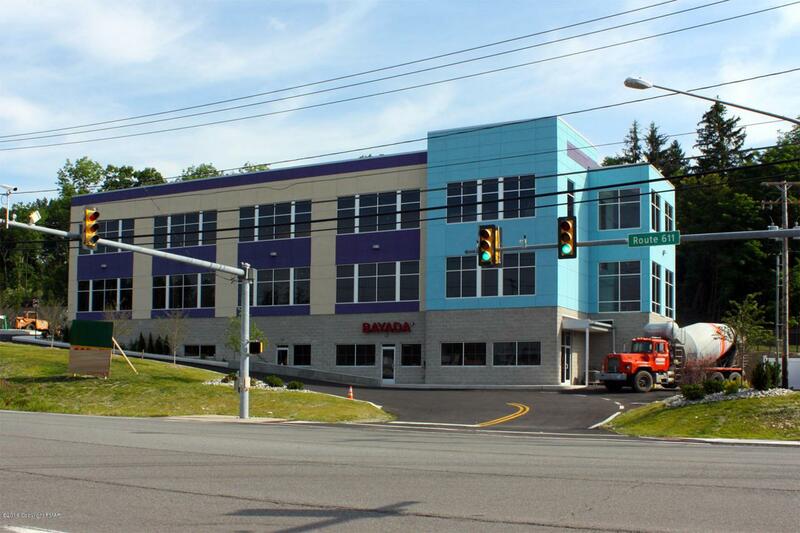 New medical office building for lease along Route 611. Building completion scheduled for summer of 2016. Up to 6,000 square feet available and ready for tenant's buildout needs. St. Luke's Health Network, Affiliated Pediatric Dentistry of NEPA and Bayada Home Health Care will share occupancy in the building. Property offers adequate parking at each floor and is serviced by public utilities. Building is situated along Route 611 in Bartonsville across from Shoppes at Crossroads, near the Interstate 80 junction, PMC Bartonsville Healthcare Center, St. Luke's Hospital and numerous retail shopping plazas.